The agri career day is an annual event where guests from the agricultural industry are invited to speak to the BSc in Land Management (Agriculture) students and the BSc in Ag Science students about their prospective careers. The speakers included a HR manager, PhD students and employees of the Irish Famers Association (IFA) and Ulster Bank. “The focus is always very much on the personal stories of the presenters and the journeys that they have had during their careers to date. There is always plenty of practical advice for the student,” agriculture lecturer Tony Woodcock said. A major theme at today’s fair was the importance of learning from setbacks, several of the speakers mentioned they gained a lot from experiences where they didn't get a job or encountered some sort of career setback. 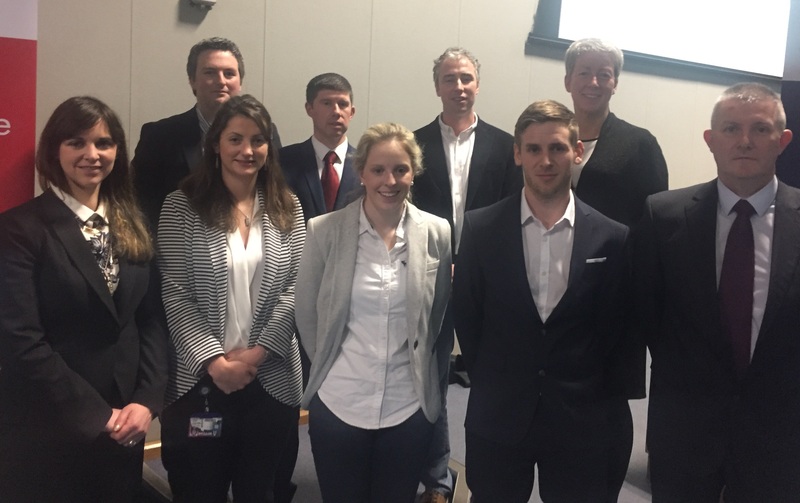 Recent graduates from WIT also attended as guest speakers, including John Barry, Richenda Delahunty and Aine Galvin. These former students were chosen as they offered first-hand experience and advice to the career fair attendees, along with engaging students in the talks. WIT organised the career day to assist students in the transition from third level to employment. Guest speaker and HR manager for Slaney Foods, Dermot Hynes, was the last speaker of the day and pushed the importance of confidence in an interview.